While in Arizona last winter I met a wonderful group of faith-filled Sisters in Christ. We studied and prayed together every week. One day as we were listing the prayer requests someone said “HOP for my family”. I asked what that meant. She told me Hedge of Protection. What a wonderful easy way to remember how to pray for our family and friends. Spread your protection over them that those who love your name may rejoice in you (Psalm 5:11, NIV). Now I see that H.O.P in action. Here are a few examples. A husband falls suddenly. He is taken to the hospital. After tests the doctors discover he has sleep apnea. That could have led to a heart attack, stroke and certain death. Now, they have the solution – a CPAP machine. If it wasn’t for the fall? There is the hedge of protection at work with our loving God. A friend goes in for an appendectomy and they discover a cancerous tumour on her kidney. Surgery in time. Hedge of Protection. A family member has trouble with an infection on his toe which is getting worse. After tests it is found he has a cancerous tumour on his colon. Operation. In time. No cancer left. H.O.P. May we all use this tiny word -HOP, remembering it is our God who watches over us. It is Jesus who intercedes for us. It is the Holy Spirit who speaks into our hearts. Thank you Lord Jesus, for giving us this wonderful way to connect with our Father. We appreciate all You have done for us so we can talk to God. We pray a hedge of protection over our family and friends. We thank You for watching over us. In Jesus’ name we pray. AMEN. Janis, a former school teacher and small business owner, found a new passion in writing in her retirement. 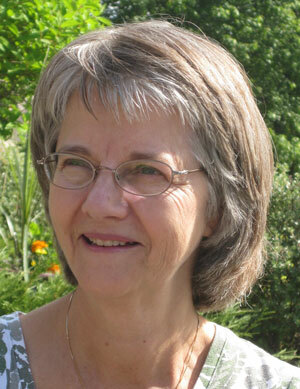 A writer since 2003, Janis co-ordinates a group blog called Under the Cover of Prayer. She is also a contributor to a group blog called Family and Faith Matters. Janis is the author of the award winning children’s book, Tadeo Turtle, published by Word Alive Press. She is the author and watercolour illustrator. For more information visit Janis on her website He Cares for You. She is a member of The Word Guild and Inscribe Writers Fellowship. This entry was posted in Prayer and tagged Contributor, family, friends, H.O.P. Hedge of protection, Janis Cox, prayer, protection on July 19, 2013 by JanisCox. Thank you. I loved acronyms as they do help me remember concepts from the Bible. Hi Janis–thanks for stopping by my blog. I love your focus on prayer. Great reminder of praying for the HOP prayer for others. I do it for my family every week and need to be more faithful in doing for others. Blessings! Thanks so much. Just reminding one another is good. Praying for your hubby – for his peace of mind, for wisdom for the doctors and knowing that the plan He has is a good one.